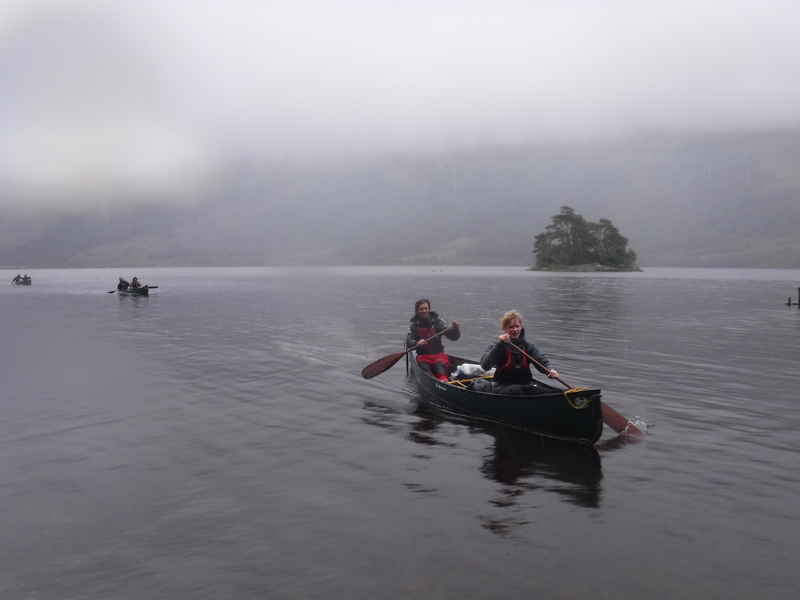 The 2016 Scot-Paddle with the Sea Cadets aimed to Open Canoe the reverse route taken by Bonnie Prince Charlie on his return to Scotland in the year 1745, by journeying from Glenfinnan to the sea. The objective was to take a group of cadets and let them work as a team to develop self-sufficient expedition skills. 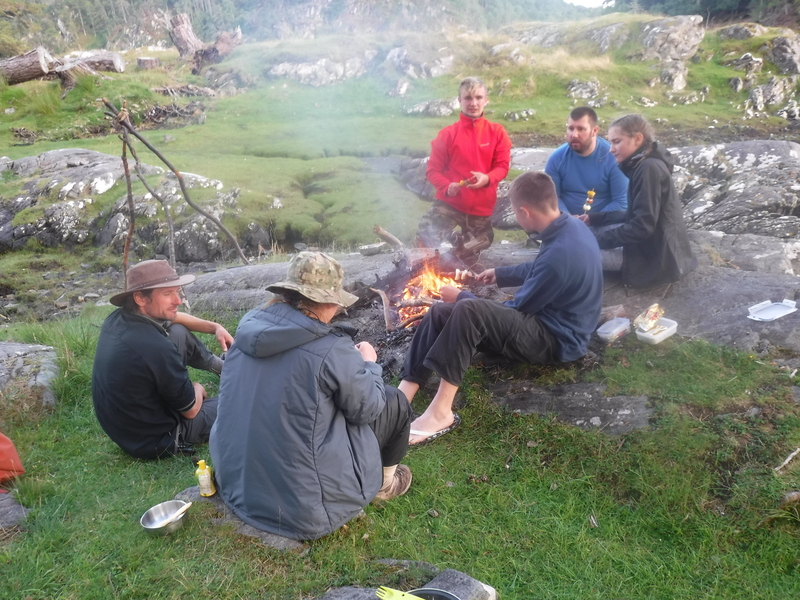 We also introduced them to experiences such as cooking over an open fire, catching their own food, how to set up wild camps, simple survival skills such as carving tools; but most importantly we wanted to have a great time in the wilderness. This is their story, in their own words. Throughout the week I have gone from wet to dry, hot to cold, from tired to energetic; but over all I have had an amazing time! Trying something new has helped me development skills I thought I’d never experience; such as wood carving and open fire cooking. The weather wasn’t always on our side, but we kept our paddles deep in the water and the smiles wide on our faces. I thoroughly enjoyed the peace and quiet and just the sound of nature all around. The views were spectacular and I was in awe for most of our journey. My paddling technique has improved immensely and I am very proud of all my achievements this week (this includes the knife I carved from scratch). I would recommend wild camping and expedition to anyone who is looking for a thrill, challenge and an overall fun week. 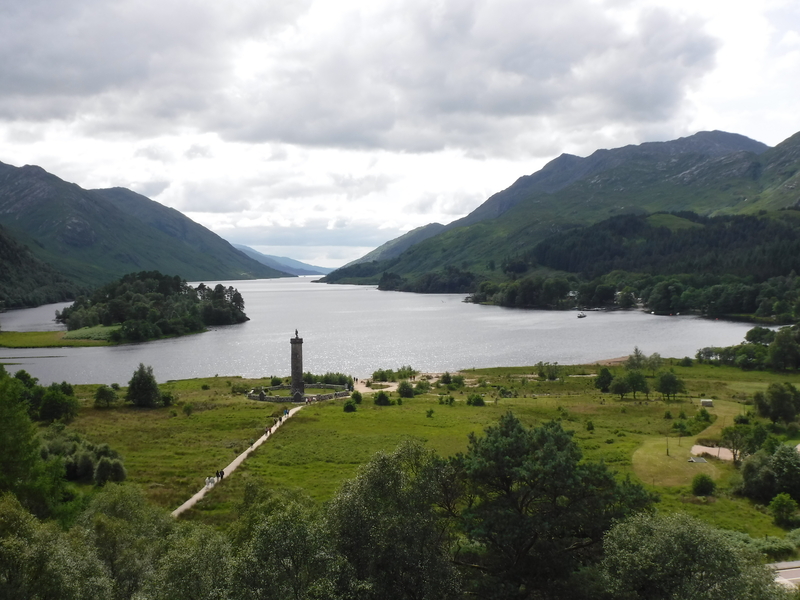 Over the week I have learnt a lot like sailing with the boats down Loch Sheil. 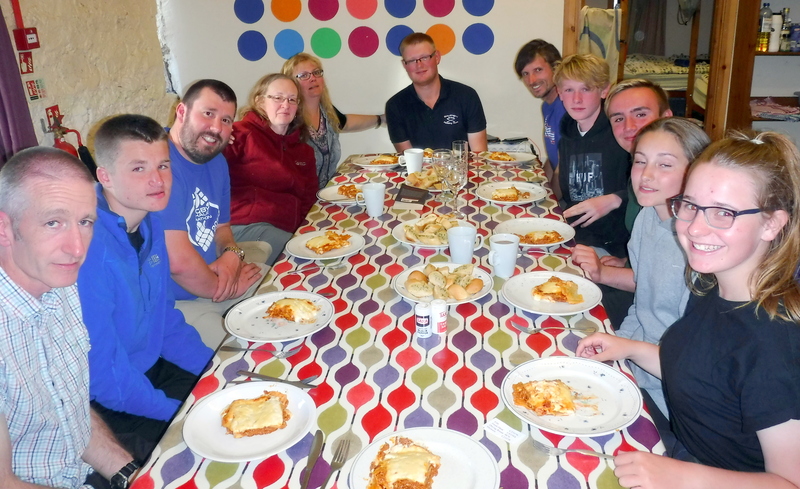 I have also learnt how to use a saw and how different types of tree wood burns better; I have met some amazing people we all have had fun together and made memories that will never be forgotten, like seeing the seals when we were paddling to the sea. One thing that I didn’t like was paddling into the wind and the rain for the three days, but then the sun came out and the views were just unspeakable because they were just amazing. 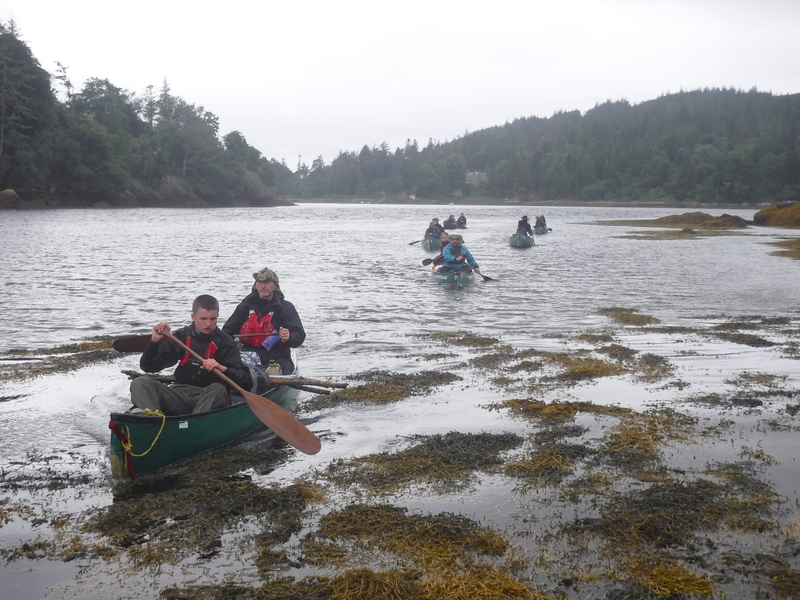 I have been to Scotland a few times before but have never been on an expedition with Cadets. This was a whole different experience and I enjoyed sharing knowledge with the Cadets, as well as gaining more knowledge and experience myself. Despite the weather being against us on a couple of occasions, it was one of the most enjoyable expeditions I’ve been on. Over the course of the week I think everyone bonded and worked together to ensure that we were all safe and all fed and watered. We had a really nice day the day we paddled out to the beach and I think this was a highlight for most people. Getting up close to seals was a real treat. 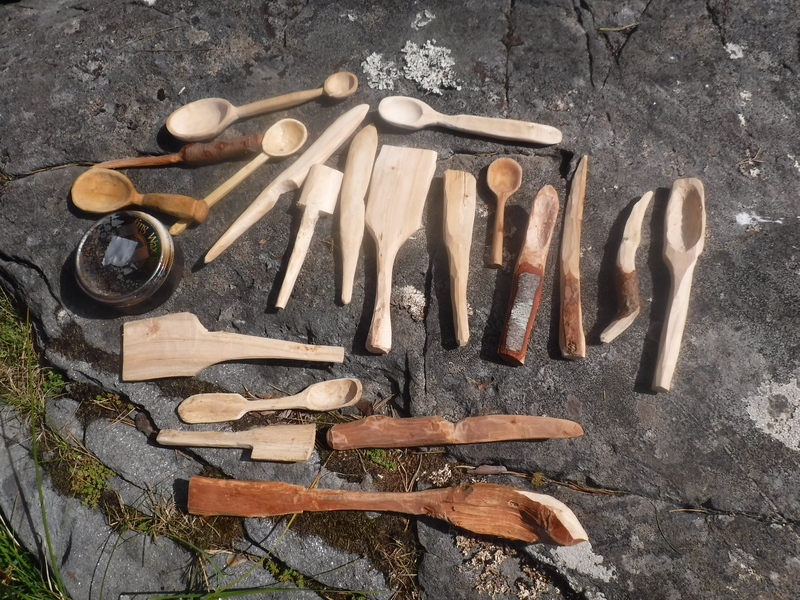 During this amazing week I have learned so many new things, like how to make a knife and spoon out of wood; I was very proud of myself for once. I also learned how to make fires for cooking, and for light; and how to cook Pollock and Mackerel on the fire that I caught when we went to the sea. It made the most scrummy and tasty best fish ever. 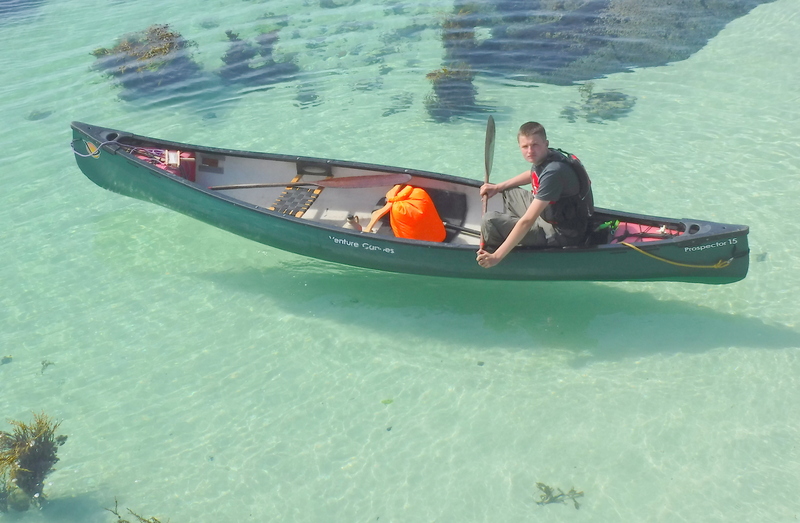 I also really liked when we rafted four canoes and made a sailing boat, I thought this was excellent and a really enjoyable way to take in the amazing scenery. I would recommend it to all my friends at my unit as it is a really good experience. Over the week, we travelled from Loch Sheil to Loch Moidart. This consisted of many interesting memories that will stay with me for the rest if my life. One in particular was when Simon and I were sea fishing for food to eat later that night; we caught a rather large Mackerel that just didn’t want to be the group’s dinner. It kept wriggling and putting up a fight but it eventually stopped when Simon hit it on the back of its head. Overall it was a great trip and would definitely do it again. I have been to Scotland several times before, but this was the first time I have been here in the summer months. This is also the furthest west I have ever been as I am usually visiting the Cairngorms. There are so many things to take away from this expedition and some have been on my wish list for many years. The wildlife we encountered was splendid and included the first time I have seen seals up close, the first sighting of loons and the first fish (a sea trout at that) I have caught from a canoe despite many previous attempts. Other firsts for me on this trip were carving a spoon from scratch and making fire by friction with a bow drill. The fire aspect has been a long standing goal of mine, and despite the perpetual rain and driving winds I was able to create an ember and turn it into flames after only a few failed attempts. I love being in Scotland and this expedition took me to some of the most beautiful and remote parts of the land. The crystal clear waters and white sand beaches, coupled with the abundance of wildlife and feeling of solitude have left me with a set of memories that will last a lifetime. I have been in cadets for six years, but I have never been on an exhibition before. After this I wish I had done this a lot sooner as it was one of the best experiences I have ever been on. Setting off from Glenfinnan on the first day it barely felt like we had done half a kilometre by the time we had our first brew stop, but in fact we had done nearly 3 kilometres! I enjoyed sitting around the open fire cooking fish that we had caught and filleted earlier that day. In the entire week I didn’t have one dull moment, or a moment I didn’t enjoy, even when we were paddling into Force 5 wind. The week started off wet and carried on being wet with the added touch of wind until the last 2 days when the sun shone and it actually became warm. As much as I enjoyed paddling into a head on wind for a few days, wearing a midgie net and trying to take my tent down in the odd dry spell in the mornings, I most enjoyed the sea fishing we did on the last full day. We paddled off of our island and headed out to sea with the sun shining and our foulies in our day bags. Heading out we saw the seals popping up behind other boats, almost taunting as to say that we can’t see them and that they were smarter, and trying to get a picture of them was a challenge. When I first booked on for the exhibition I was filled with trepidation, but now after completing my week in the wild I am so glad that I did. What a fabulous week learning lots of new things whilst paddling through some of the most glorious countryside. I have learnt a whole plethora of new skills during the week. ‘I made fire’ on one day, carved a knife and even sailed and that is to name just a few. 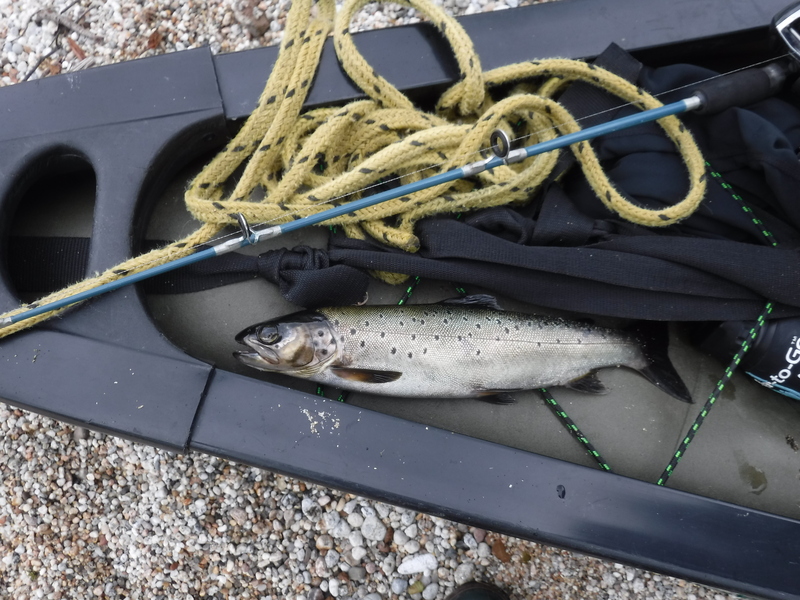 Although some of the conditions during the week were a little challenging, with heavy rain and wind along with swarming midgies, it didn’t detract from the experience as a whole. I come away from the week with a lot more experience and a lot more confidence in my abilities both on and off the water. A fantastic week, getting away from it all and into the Scottish Wilderness. Some spectacular views and natural beauty. I loved the chance to get away and get back to nature, swimming in the Loch and having a loo with a view. It was great to see the young cadets grow in confidence and develop as the week went on. We had fun learning bush craft skills, like collecting wood, building a fire and carving things out of wood, like spatulas, spoons and knives. It was great exploring the history of the area with the Burial Island and Castle, as well as exploring the sea loch with the variety of marine birds and seals. A fantastic expedition that won’t be forgotten. Many thanks to the Ulysses Trust for helping to fund the expedition, Roger Wiltshire for leading the trip, Bonita Best for arranging the catering, and SLt (SCC) Monty Smedley RNR for organising the logistics. MC1 Dani Bailey (Aylesbury), OC Jack Cheal (Telford), OC Sam Green (Abingdon), Cdt 1st Emily Hancock (Abingdon), Cdt Cpl Casey Nicklin (Aylesbury), PO Vicki Nicklin (Aylesbury), CI Sam Saunders (RVD), PO Dave Hastie (EA Canoe Centre), PO Simon Best (Abingdon), SLt Gareth Kerrigan (Telford), led by CI Bonita Best (Abingdon) and Roger Wiltshire.